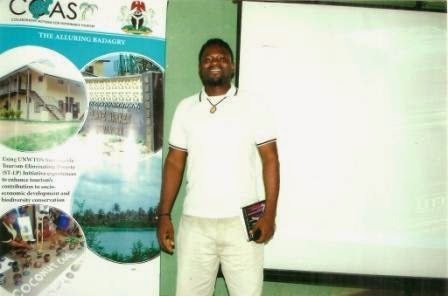 Anago James Akeem Osho after a Tourism COAST PROJECT PRRT Assessment programme. 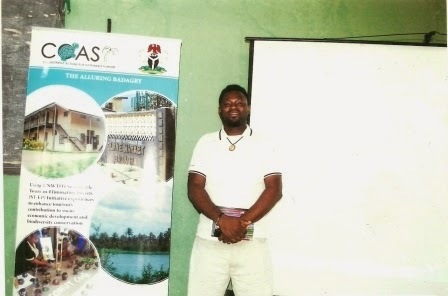 Anago James Akeem Osho after a PRRT For stakeholders assessment in the Badagry Demosteration site Area. Collaborative Action For Sustainable Tourism (COAST PROJECT) organized by UNIDO, UNEP, and UNWTO. Anago James Akeem Osho after a PRRT For stakeholders assessment in the Badagry Demosteration site Area. 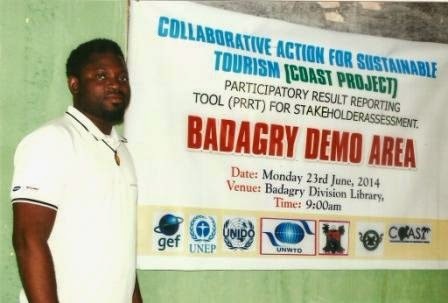 Collaborative Action For Sustainable Tourism (COAST PROJECT) organized by UNIDO, UNEP, Lagos State Government and United Nation World Tourism Organization.